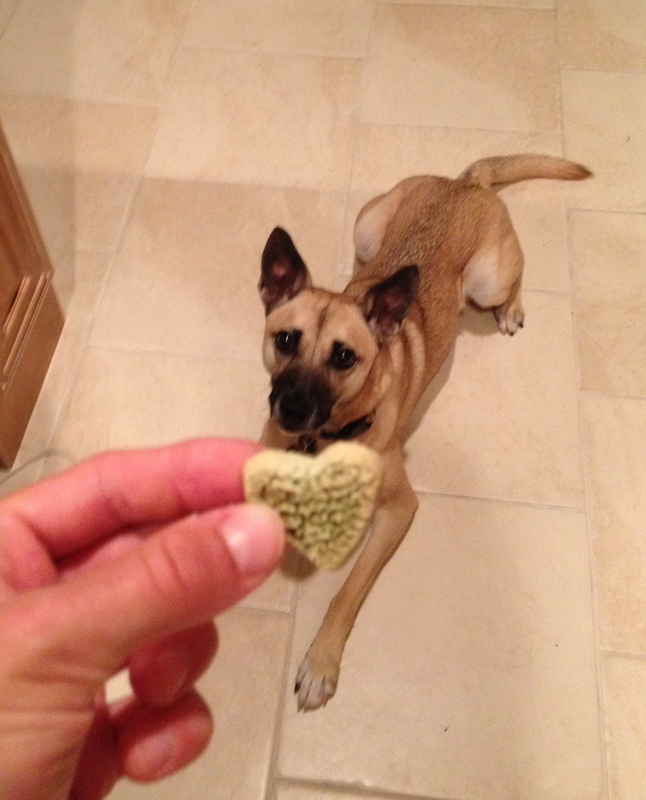 My dog loves these little heart-shaped treats. And, since they’re loaded with good ingredients, I love to give them to her. 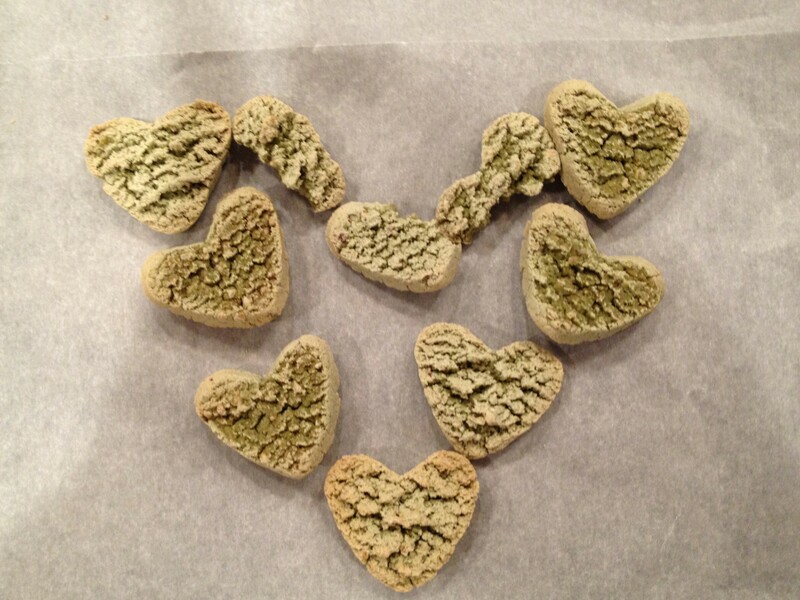 Rynoa received these awesome Dog Love Kale treats in her monthly Barkbox. I had never heard of them before, but when I read the ingredients of the apple crisp flavor, I was impressed. They only have five ingredients: rice flour, kale, whole oats, flax and apple. The other flavors (penutty, pumkin’, tropical delight and sweet tater) are also all gluten free and vegan. 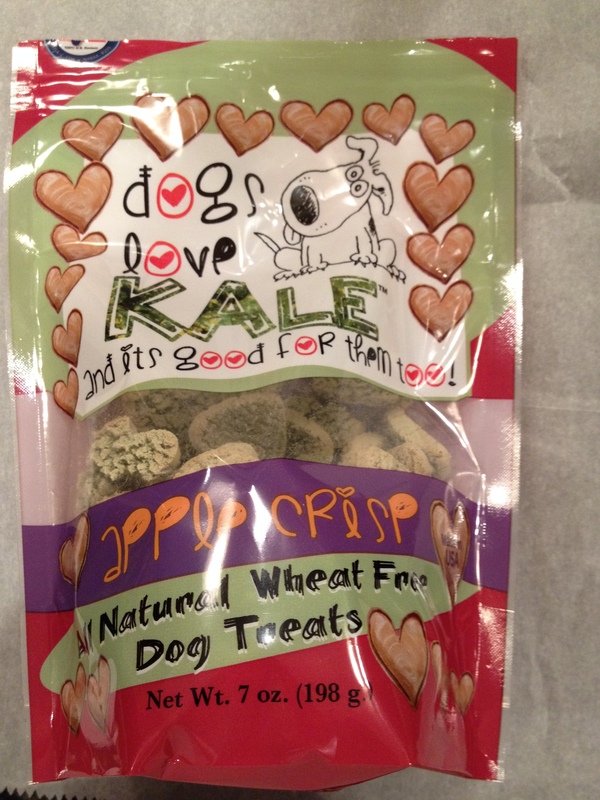 I’m not too surprised that Rynoa really likes these crunchy, kale treats, since she loves her veggies, but I can see most dogs loving them as well. I can’t wait to try the other varieties!